The Oli storage system comprises a variety of pieces of furniture that satisfies both aesthetical and practical needs. The Oli system is a design by Chi Wing Lo for Giorgetti. 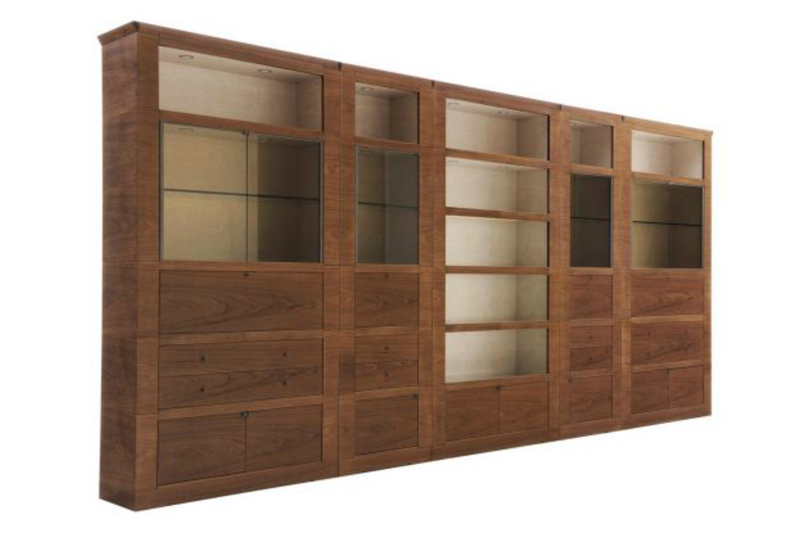 This storage system combines intelligent solutions and flexibility with the classic craftsmanship of Giorgetti to create sideboards, book shelves, wardrobes and shelving systems for every function and need. The system comes with a wide range of accessories in 3 types of wood, allowing for optimal diversity and flexibility. Oli is characterised by versatility, a quality that grants elegance, practicality and personalisation. The final result is a designer furniture able to reflect the most intimate requirements, thanks to all the solutions made available through the various elements.